Books & Ideas is taking a break for the holidays. We will be back with new publications in early January. In the meantime, here is a selection of essays, reviews and interviews published this past year. To increase citizen participation and political responsiveness, today new civic tech claims to be ‘hacking’ democracy. Going beyond their immediate appeal, can these technologies deeply transform politics? What project do they propose? Since Narenda Modi, the strongman of Hindu nationalism, was elected prime minister, discrimination against minorities has increased in India and freedom of expression no longer seems guaranteed. Can Indian democracy resist the rise of an authoritarian and xenophobic right? Deforestation and charcoal production are often seen as the principal culprits for the endemic poverty in Haiti. This essay calls for a new narrative. Not only is this picture of Haiti incomplete and inaccurate, it is also counterproductive to the economic development of the country. Umberto Eco is best known to the general public for his novels and critical works in which he developed his theory of reception. Who realizes, however, that this aspect of his work is only one part of a general semiology organized around a philosophy of signs? What role can scientists play in the earthquake risk reduction? Eric Calais discusses the paramount importance of establishing a dialogue between scientists, public authorities and humanitarian help in risky areas. One of the major challenges remains the difficulty of converting scientific knowledge into effective and safe public action. Manuel Gárate looks back at the economic revolution that has taken place in Chile since 1975, at huge social and political costs. A much-needed perspective in a context where the United States, Pinochet’s former protector, is turning towards populism and protectionism. 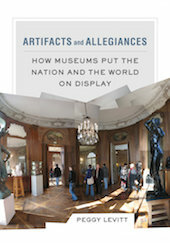 Adopting an ethnographical approach on the world of museums, Peggy Levitt explains how, as a crucial link between past and present, the local and the global, they play a political role in addressing questions of nationalism and cosmopolitanism. In order to fix a society, it is not necessary to wield the “civilising” stick of republicanism. 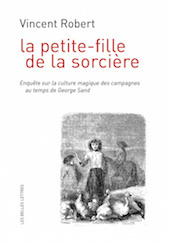 The novels of George Sand, far from being mere rustic tales, propose a clandestine way of doing politics – a democratic project undertaken with no preaching or violence. After the war on poverty, the United States declared a war on crime. This history of penal policy since 1960 looks at the intellectual and political roots of the punitive treatment often reserved for minorities. In his 2015 book, The Figure of the Migrant, Thomas Nail offers a reverse approach of migration, focusing on the migrant from the perspective of movement. Claire Gallien questions the relevance of Nail’s dialectic between the ’kinopolitics’ of the state and the ’pedetic force’ of migrants.